There are quite a few blue light filters for iPads on the market but which one do you choose when you're ready to buy? Do you choose PET or tempered glass? RetinaGuard started in 2013. 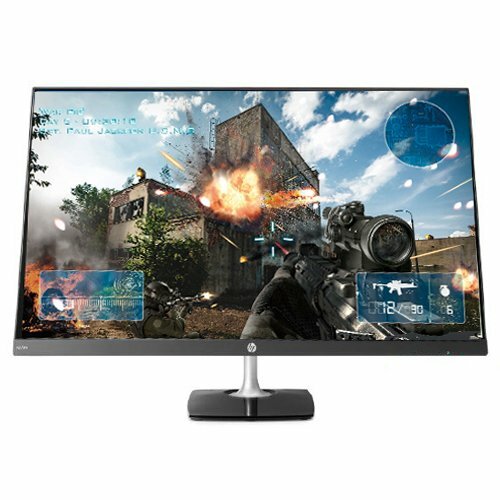 It has consistently focused on quality blue light filters for mobile devices, monitors, and computers. Whether you have an iPad, iPhone, iMac, or Macbook, they have you covered. Contrary to other brands, RetinaGuard's blue light filters & screen protectors aren't a small segment of a larger product line but rather their entire focus. Industry certifications like SGS & Intertek show that RetinaGuard is serious about blocking blue light and they have the scientific results to back up their products. Next let's dive into the installation, pictured below. The iPad Pro is Apple's premium iPad product and as such it deserves a premium blue light filter. If you're not careful your iPad Pro 10.5" also comes with premium repair costs - a cracked screen alone costs $449 to repair. With all the blue light filter choices out there, how do you pick a brand that works? Don't settle for a cheap plastic screen protector. 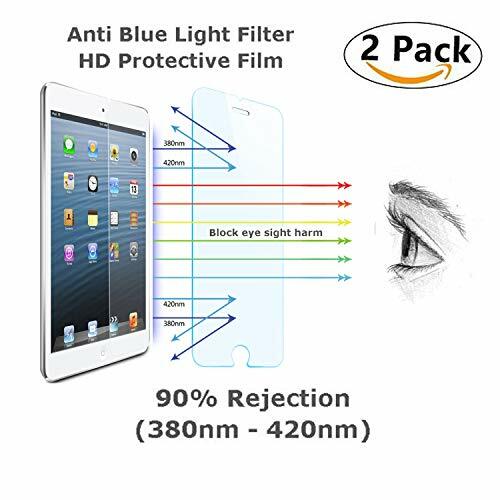 Protect both your iPad and your eyes with a tempered glass blue light filter from RetinaGuard. RetinaGuard is certified by both SGS &Intertek to block 90% of blue light in the 380nm to 420nm range. The package itself came packed in bubble wrap with a cardboard insert. The outside of the package proudly displays everything you need to know - 9H rated coating, 0.4mm thin, 90% blue light blockage between 380nm-420nm. A blue light screen protector is easy to install but don't rush through it. Considering you'll most likely own your iPad for a couple years, take your time with the installation. If you weren't already reading this page, the included instructions inside the package are in English, Japanese, and Chinese. First, before getting started, be sure to wash and dry your hands to remove excess oils. Second, use the provided alcohol prep pad to clean any crud off the device. Wipe it dry with the microfiber cloth provided. Anything on the surface of your iPad will get trapped under the screen protector, so it's important to remove any speck of dust you see on the screen'svsurface. Peel the bottom layer of the screen protector, careful not to touch the sticky part. Then, slowly line up the filter on top of the iPad and stick it down. Try not to unstick the filter once it's placed. Editor's Note: You'll need both hands to align the filter perfectly. Sometimes little bubbles appear after installation. No worries, that's normal. Use the same wiping cloth to smooth out the the protective cover. As you see in the picture, the lighter colored oval in the middle is a giant air bubble. It was mostly gone within 5 minutes of wiping the screen. You're finished! Time to sleep better and reduce eye strain. Your screen protector should last you the lifetime of your iPad. If you happen to drop your iPad, the screen protector is designed to absorb the impact first and will shatter, saving the screen underneath. Now that the blue light screen protector is installed, how does it perform? It's rated for 9H on the Pencil Hardness Test (not the Mohs scale) meaning it'll protect your screen from any future scratches. Additionally, it protects your device from water damage as water droplets just roll off the screen. RetinaGuard has perfected this technology years ago, as seen from this video from 2014. Here's an update scratch and hardness test from 2016. You can find all RetinaGuard products on Amazon. Thanks for reading our review and installation guide. Looking to protect another iPad model? RetinaGuard has been around since 2013 and has focused on making blue light filters for mobile devices, monitors, and computers. If you have an iPhone, iPad, iMac, or Macbook, they have you covered. Unlike other brands, RetinaGuard's blue light filters aren't a small segment of a larger product line but their entire focus. Industry certifications like SGS & Intertek show they are serious about blocking blue light and they have the scientific results to back it up. Let's dive into the installation below. The iPhone X is Apple's first premium mobile product and it deserves a premium blue light filter. If you're not careful with your device the iPhone X/XR/XS also comes with premium repair costs - a cracked screen alone costs $279 to repair. 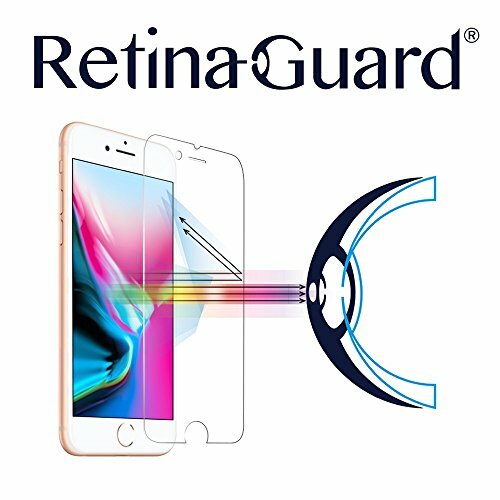 Protect both your phone and your eyes with a tempered glass blue light filter from RetinaGuard. With all the blue light filter choices out there, how do you pick a brand that works? RetinaGuard is certified by both SGS & Intertek to block 90% of blue light in the 380nm to 420nm range. The package itself is vibrant and almost silky to the touch. It proudly displays everything you need to know - 9H rated coating, 0.4mm thin, 90% blue light blockage. A blue light screen protector is easy to install but don't rush through it. Considering you'll be looking at your mobile phone frequently, take your time with the installation. Before you get started find a flat surface and clear out some space. A dining room, desk, or coffee table will do just fine. Second, use the provided alcohol prep pad to clean any crud off the device and wipe it dry with the microfiber cloth. Anything on the surface of your phone will get trapped under the screen protector, so it's important to remove any speck of dust you see on the screen's surface. Between the microfiber cloth and the dust free sticker, you'll have a spotless surface before placing the filter on the device. Peel the bottom layer of the screen protector, careful not to touch the sticky part. Then, slowly line up the filter on top of the phone and stick it onto the phone. Personally, I like to peel back the protective plastic about half way, line up the filter at the top and press down, then remove the remainder of the plastic. Try not to remove the filter once it's placed. Sometimes little bubbles appear after installing the screen protector - that's normal. Use the same wiping cloth to smooth out the top of the phone. It may take an additional 24-48 hours for the filter to fully settle onto the screen. If preferred you can release the air bubbles by pushing them to the sides of the phone. You're finished! Your phone, eyes, and future sleep all thank you for installing a blue light filter on your mobile device. Your screen protector should last you the lifetime of your phone. If you happen to drop your phone, the screen protector is designed to absorb the impact first and will shatter, saving the screen underneath. Overall the colors of the display aren't distorted and I can't actually tell I'm using a physical blue light filter. One thing I noticed about the RetinaGuard blue light filters is they tend to "glow" a blue/purple hue when under natural sunlight. This wasn't noticed under artificial lighting. You'll often see blue light filters and lens give off the same hue when reflecting light and it's completely normal. Now that the blue light screen protector is installed, how does it perform? It's rated for 9H on the Pencil Hardness Test (not the Mohs scale) meaning it'll protect your screen from any scratches. Throw your phone in your pocket with some keys? No problem. Looking to protect another iPhone model? No matter what device or monitor you use to go online, the issue of blue light from the screen damaging your eyes is a serious one. 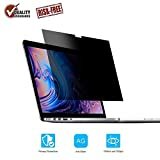 Let's find the best Blue Light Filter for Apple Macbook Laptops. There are plenty of blue light filters for iPhone and iPad devices. However, sales of the Apple MacBook have been growing faster than other Apple products. Now there are millions of new users who need blue light protection. Whether you are new to the MacBook or not, the best way to protect your eyes is to use a screen filter. In this review, we are going to assess the best blue light filter for Apple MacBook laptops and highlight our top choice. 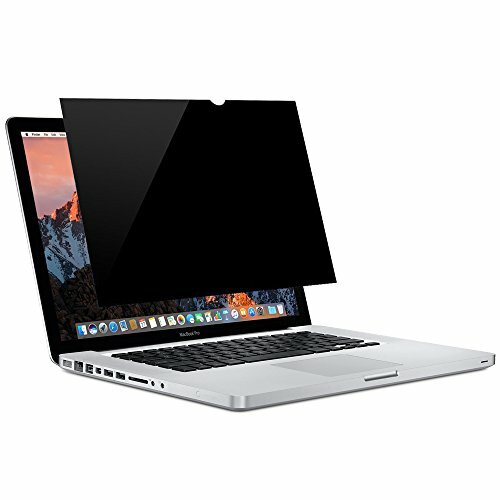 The Privatliv MacBook Air Screen Filter is a great way to ensure that your eyes are protected from the harmful effects of blue light, and it also protects you from prying eyes as well. Obviously, prying eyes aren't a medical issue, but can certainly cause you a huge headache, especially if someone is able to see your personal details on the screen. The way in which this filter protects you from prying eyes is it limits the angle of vision through which the screen can be seen depending on where the person looking at the screen is located. This means that anyone not sitting directly in front of the screen cannot clearly see what is on it. This starts at around a 30 degree angle on either side at which point anyone trying to glance at your screen will see nothing due to the filter. Now that we have your privacy protected, let's turn to what is surely more important: your eyes. Staring at laptop screens for long periods can subject your eyes to issues caused by blue light and glare. This Privatliv filter can significantly reduce both in order to protect your eyes and enable you to use your MacBook for longer periods of time. Fitting your protective screen to your MacBook could not be easier. It has magnetic backing around its edges, therefore all you need to do is remove it from its packaging, and then place onto your screen. One thing to make sure of when you do this is that you have lined it up correctly so that you can see your full screen, and the built-in webcam is not covered. Keeping the filter clean is very easy, which is helped by the fact that it is resistant to finger marks, which would normally make your laptop screen grubby. If any marks do appear, then the handy microfiber cleaning cloth which is supplied with the filter can be used to clean it and remove those marks. 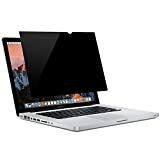 PRIVACY FILTER DESIGN FOR MacBook Air 13 inch LED-backlit Retina Display with IPS technology 2011 through Early 2018Models. PrivatLiv MAGNETIC Privacy Screen Innovative anti peep privacy screen offers 8 layers of film to ensure privacy and visual protection. Be confident and comfortable in public and keep sensitive data secure. When it comes to blue light filters for laptops and the Apple MacBook, there are few which are any thinner than this one from Kaempfer. However, the fact that it is so thin does not mean that it has any less ability to filter out blue light, as you are about to find out. If you are still wondering "What does blue light do to your eyes?" then you need to know that it can go from simply making your eyes feel tired, to more serious issues such as retina damage. The good news is, these can all be prevented using a quality filter like the one we are looking at here. It prevents around 70% of the damaging blue light from getting to your eyes. If you think about that for a moment, it means if you were to be sitting in front of your MacBook for just 3 hours per day, over the course of a week the equivalent reduction in time that your eyes are being damaged by blue light is over 14 hours. This filter doesn't just protect your eyes from blue light, it also reduces the amount of glare that they are subjected to. Glare can cause several eye problems, including cataracts, so anything that reduces that risk must be welcomed. Now that we have your eyes protected, it is time to look at how the Kaempfer ultra slim magnetic screen protector can do likewise for anything on your screen that is private or confidential. 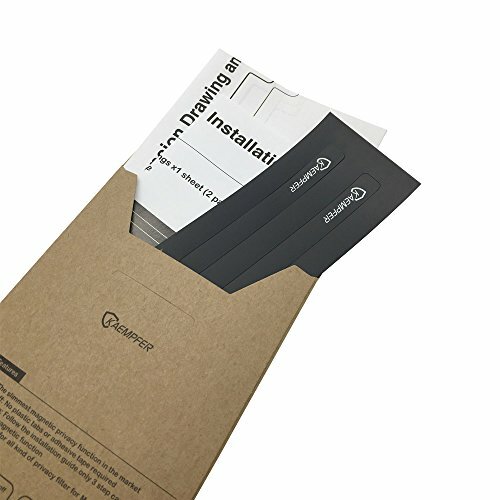 The Kaempfer screen protector reduces the chances of your information being compromised by creating a field of view that is only 30 degrees wide, so that nobody can peer from the side and see your data clearly. Of course, you still need to be vigilant, but this is a huge help in keeping your personal data private. Last but not least is the simplicity of fitting it to your Apple MacBook. The filter has a magnetic backing, so it is just a case of lining it up and placing it on. With respect to protecting our eyes, it is not always necessary to know all the technical aspects of how blue light filters work, but it is more important to know that they protect you effectively. With the Sikkiy MacBook Air Privacy Screen Protector you have that protection in abundance, as it not only filters out standard blue light but also limits the ultraviolet light, which can be just as damaging. For dealing with blue light and the issues it causes in relation to eye strain and sleep deprivation, this MacBook filter gives an excellent level of protection. It is designed to reduce blue light from the screen by at least 70%. When we consider its effectiveness in relation to ultraviolet light the figure is even greater at a staggering 97%. Just consider the difference in the health of your eyes that these reductions are going to make, especially when you consider that it can also reduce glare. As well as protecting your eyes from what the screen might do in terms of light emissions, it does so in the opposite direction by protecting your MacBook screen from what you might do. We are talking about finger marks or in the worst cases scratches which might occur. It prevents dust from penetrating the screen, too. We hear a lot today about protecting one's data and privacy, and the Sikky filter plays its part in protecting yours. It makes things very difficult for anyone trying to peer at your screen from the sides, and certainly makes it almost impossible for them to see clearly what is being displayed. If you have an Apple MacBook Pro from 2016, 2017, or 2018, and are looking for a screen protector that can protect both your privacy and your eyes, then the Forito MacBook Pro 15" Privacy Screen Protector is a product you must consider. It has excellent filtering technology designed to protect your eyes and does a great job of limiting the field of view from prying eyes. With regards to protecting your privacy, we are looking at scenarios in which people who sit or stand adjacent to you can see your screen without much effort. 99% of the time there will likely be nothing that could be of any use to them, but why take the risk? The sensible and easy solution is to use a filter, such as this one from Forito. It reduces the viewing angle at which the screen can be seen from down to 30 degrees on each side, so that anyone outside that angle sees just a black screen. This is obviously not infallible, but it is certainly a lot safer and more secure than not having any privacy whatsoever. Your eyes are protected by the Forito screen protector, thanks to its filtering technology, which reduces the amount of blue light your eyes are subjected to. Specifically, it reduces UV light by 97% and blue light by 70%, so the dangers of cataracts, myopia, and sleep deprivation are greatly diminished, even if you are prone to spending long periods of time using your MacBook. What doesn't take a long time is the act of fitting this filter to your laptop screen. It can be done in a couple of minutes, and there are two different methods which the manufacturer's instructions will take you through. Once it has been fitted you can keep it clear and clean using the cleaning cloth which is supplied with the screen protector. MacBook Pro lovers will be pleased to know that this is another blue light filter which is compatible with 2016, 2017, and 2018 models. The difference with this product is that not only do you get the screen protector, it comes with a very useful and welcome gift too, but more on that later. Let's first look at how well this screen filter helps protect your eyes from blue light and all the harm that it can cause your eyes. It is constructed with a series of transparent layers the properties of which can filter out the blue light, but at the same time give you a crystal-clear view of your screen. This is a win-win scenario because of the obvious protection for your eyes, but also means less need for you to screw up your eyes trying to see an image on the screen. All decent screen filters for MacBooks provide a level of privacy, and this product is no different. As is the norm, it provides an angle of 30 degrees beyond which anyone trying to see your onscreen information cannot do so. 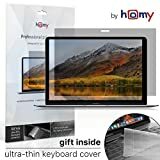 This filter is fitted to the MacBook screen using tiny adhesive spots which are placed around the frame of the screen and then stuck to the filter. The benefit of this is that it does not need to be removed every time you close your laptop, plus it helps keep dust from getting behind the screen. No, we haven't forgotten about the free gift which comes with this screen protector, and we think it is great idea. 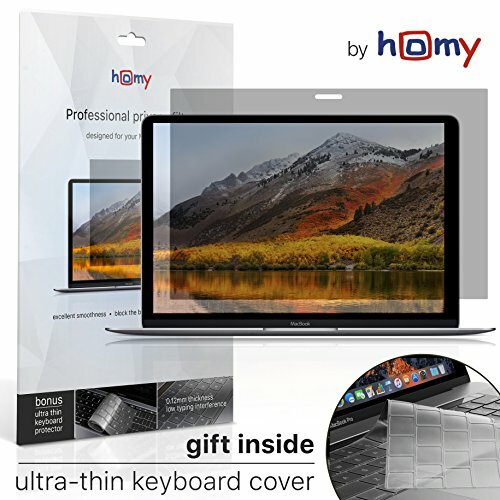 If you are protecting the screen, you might as well protect the keyboard too, and you can as Homy will give you a free keyboard protector when you buy this product. It fits neatly over the keys of the MacBook Pro and helps keep them clean and free from any dust, grime, or dirt. It is even washable and reusable if it ever gets a bit grimy. This was one of the more difficult sets of products from which we had to select an outright winner, simply because every one of them offered great features and provided a very similar level of protection, both for privacy and for the user's eyes. The other thing to bear in mind is that the products we looked at were compatible with either the MacBook Pro or the MacBook Air, and none of them would fit both. So for the MacBook Air, we have gone with the Sikkiy MacBook Air Privacy Screen Protector which provided great filtering levels for blue light and UV light and was also very easy to fit. It is removable, too, which makes it more convenient to use. The fact that it is also 25% cheaper than the alternative, makes it even more desirable. Amongst the MacBook Pro screen protectors, it was even more difficult to choose as they all had similar prices and features. Ultimately, we went for the Homy International MacBook Pro Screen Protector. It matched the others in terms of privacy and eye protection, and it was also easy to fit. It had an obvious edge because it comes with an additional protector for your keyboard, meaning you can protect all parts of your MacBook. "Are cell phones bad for your eyes?" is a common question. With issues like blue light causing eye strain it's an important question, especially with the rise of apps and games meaning we are looking at our devices for longer. Two of the most popular devices are the iPad and iPhone, and if you use either, you need to know how to reduce blue light on your iPhone/iPad to protect your eyes. The answer is a blue light filter, and in this article, we are going to review the best blue light filters for iPhone and iPad, plus let you know which is our top choice. There are many blue light filter screen protectors on the market but what company makes the best overall? Find out below. When considering blue light filters for iPhones, we need to find filters that have a great balance between protecting your eyes and protecting the screen of your iPhone. This Pavoscreen screen protector gets that balance just about perfect, allowing you to use your device safely and without fear of the screen being damaged. Let's start with the main point of our review: protecting your eyes from blue light. The Pavoscreen screen protector has been tested in a laboratory to see how much blue light it could filter, and the result was it filtered around 65%. This means that not only are your eyes being protected, but due to the reduction in eye strain you can look at your screen for longer periods. Great, if you love watching movies or playing games on your iPhone. The filter also reduces glare emanating from the screen. This gives further eye protection, plus it makes it easier to see what is on the screen. We mentioned protecting the screen as well as your eyes, and the Pavoscreen filter certainly does that. The first point is that it covers the whole screen. We often see filters that only cover 90-95% of the screen area, meaning the edges are often unprotected. This protector covers the screen all the way to the edges and even goes right into the curved corners. Fitting the protector to your iPhone couldn't be easier, as it is self-adhesive and has a silicone coating. This should allow the protector to be fitted exactly in position, and for it to sit perfectly with no issues like air bubbles or creasing. The screen protector is shatterproof, so if you should drop your iPhone the protector will remain intact, and in doing so, keep the screen intact too. It is also scratch proof, so damage to the screen from keys in your pocket or laying your iPhone face down on an abrasive surface should not occur. No doubt you have often looked at your screen and struggled to see it clearly, due to a load of fingerprints all over it. This filter has a special oleophobic coating which helps to reduce fingerprint marks and makes it very easy to clean with a simple wipe using a dry cloth. No review of the best blue light filters for iPad could ignore the Tech Armor Apple iPad Air RetinaShield Screen Protector. 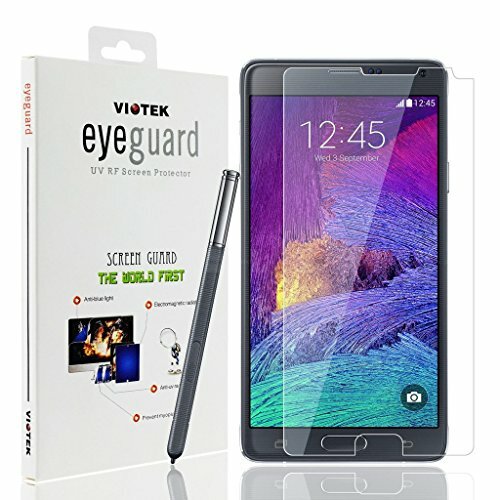 It is a robust screen protector which protects both the product screen and the product users' eyes, and it does so for a very low price, too. One issue which frequently occurs with accessories made for products is that there are often numerous versions of that product with variances in size and configuration. This applies to the iPad, so it is great to see that this blue light filter and protector fits several versions. As well as the iPad Air, it can be used to protect the screen on the iPad Air 2 and the newer iPad 9.7 which was released in 2017. In terms of screen protection, this Tech Armor filter can prevent the screen of your iPad from scratching. This is often caused by the device being put down, with the screen side meeting an abrasive surface underneath. Another cause of scratching is items inadvertently coming into contact with the screen. Obviously, the best way to prevent scratching is not letting the screen touch anything that might scratch it, but this is practically impossible to achieve. The solution is a filter or protector such as this which the items touch instead of the screen, thus reducing the chances of it being scratched. The filter is very easy to install, with a simple peel away layer which allows you to then stick it to your iPad screen. It will be bubble free, and should fit perfectly, as the audio slot and space for access to the front panel key are sited exactly where they need to be. The reason many people consider blue light filters for their iPad is the harm blue light can cause. It can obviously cause eye strain as mentioned previously, but it can also interfere with our sleep patterns. With the Tech Armor these issues should not arise due to its highly effective blue light filtering properties. It incorporates Tech Armor's own 'Retinashield' technology which will filter around 50% of all the blue light which is emanating from your iPad screen. In effect, this means reducing the chances of eye strain, eye damage, and sleep pattern disruption by 50% too. The other benefit is that with these reduced levels of blue light, you can use your device for longer periods without eye strain occurring. A last note about what comes with the Tech Armor blue light filter: apart from the instructions on how to fit it, you also get a handy microfiber cloth to smooth the filter, and dust removal tape to keep your iPad dust-free. For those of you that use the iPad Mini, this screen protector and blue light filter should interest you greatly. 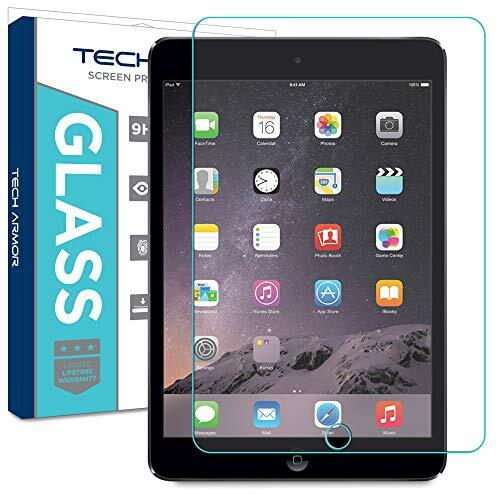 It is the iPad Mini Tempered Glass Screen Protector which does an excellent job of protecting both your screen and your eyes from being damaged. In terms of blue light and the damage that it can do to your eyes, using this sort of filter on your iPad is one of the simplest and easiest ways to prevent the harmful effects. The I-Deal blue light filter has been designed to block up to 90% of the blue light which comes from your iPad screen, but it goes even further than that. UV light is often forgotten due to the public's increased awareness of blue light, but it can also damage your eyes, and often with worse consequences. It can cause macular degeneration which, in the worst instances, can lead to blindness. UV light can also cause cataracts. Thankfully, this filter from I-Deal will eliminate up to 98% of the ultra violet light from your iPad screen giving your eyes even more protection. Now that we have given your eyes some protection from your iPad screen, we now turn to protecting the screen itself. With the I-Deal protector being made from high-quality tempered glass, that should indicate to you that it is not going to be prone to shattering if you drop your iPad. This is an important feature as it can mean the difference between your iPad screen shattering or staying intact if the device is dropped. Scratches are another way in which many iPad screens get damaged. This is often caused by keys, pens, or coins rubbing against the screen as it is being carried in a bag. Scratches also happen when the device is laid screen down or when someone bumps into you as you are carrying your device. The I-Deal screen protector will eliminate virtually any chance of your screen being scratched thanks to its tempered surface. Fitting your screen protector to your iPad is a simple four-step process, and it can be done in just a few minutes. First, you wipe your iPad screen to ensure it has no dust, marks, or smudges. Next, you peel back one part of the backing, and then you align the protector to your iPad. Slowly apply the protector to your iPad, making sure you keep it aligned properly. That's it. One of the things we love about this product is the fact that instead of just one screen protector, you get two. This means you can give the other one to another member of your family to use, or if no one else in your household has an iPad, you can keep it as a spare. If you have ever wondered "Are phones bad for your eyes?" then the answer should be no, they aren't, provided you take some simple steps to ensure your eyes are protected. If you have an iPhone 7 or 8, one of the best ways to do this is fitting a protector or filter to your screen, and there are few better or more affordable than the Iconflang iPhone Screen Protector. Before we even talk about its qualities, we must mention that we are extremely impressed by the great value that Iconflang delivers for the price when you buy this product. It is currently priced at less than $10, which would be good enough, but for that, you get two screen protectors, instead of one, which is as good a deal as we have seen for iPhone screen protectors. However as we often say, the price isn't everything, and value for money is only valid if the product performs as it should, so let's cover that now. In terms of protection for your iPhone, the first thing to mention is that this protector is made from tempered glass. This gives it the strength to withstand a lot of bumps, knocks, and even drops, and allows it to absorb these so that your screen doesn't. The other main protection you would want to have is against scratching, which is one of the most common ways in which iPhone screens are damaged. Your pocket is the location in which this is likely to happen as coins, keys, pens, and even tiny pieces of dust can attack your screen and scratch it. With the Iconflang screen protector, these and anything else trying to scratch your iPhone screen are not going to succeed, meaning your screen stays scratch-free. Fingerprints are a nuisance, especially when they obscure or blur something you are trying to see on your screen. The oleophobic coating on this protector means the oily substances from your fingers and hands do not get the chance to leave marks or prints. Let's discuss the main reason you need a filter on your iPhone screen, and that is to protect your eyes from blue light. The Iconflang's filtering technology makes sure that blue light is reduced significantly, making prolonged use and viewing of your iPhone safer and more comfortable for your eyes. As we have looked at blue light filters and screen protectors for both the iPad and the iPhone, instead of just choosing one top product, as we normally do, we are going to pick two: one for each device. Our top premium choice for any iPhone & iPad blue light filter is RetinaGuard. See the options at the top of the page. If you're looking for more cost-effective choices for the iPad check out the I-Deal iPad Mini Tempered Glass Screen Protector. This offered great protection for the iPad screen in terms of reducing scratches and the chances of the screen shattering if the device is dropped. Its tempered glass construction certainly helps in this regard. It also produces great reductions in the amount of blue light and UV light, so that your eyes are well protected. Finally, getting two filters instead of one makes this a great value for the money, too. 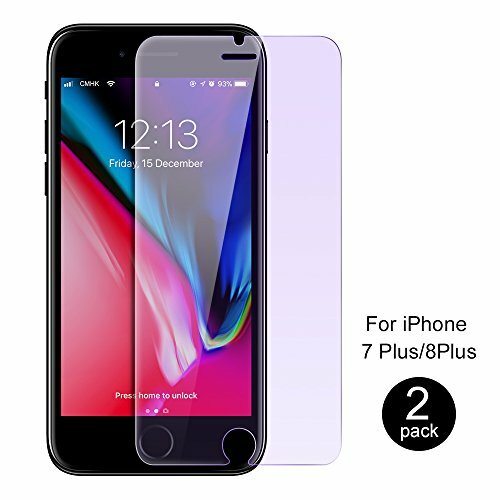 For the iPhone, we had two choices and although the Iconflang offer was a fantastic deal, we opted for the Pavoscreen iPhone X Screen Protector. The simple reason for this is that the Pavoscreen protector offered far superior levels of protection for the user's eyes, as well as the screen. Its tempered glass offers more in terms of scratch resistance and protection against the screen shattering, which ultimately is how these products should be assessed. 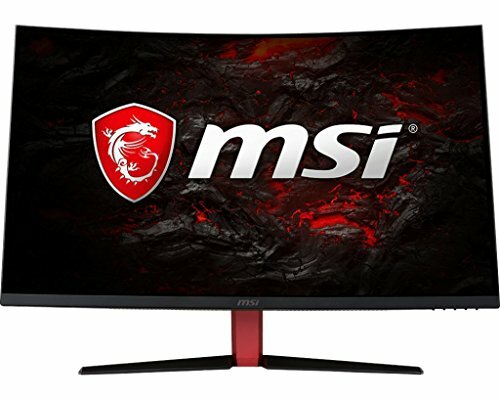 Have you ever felt your eyes getting tired while looking at a computer screen? So have millions of other people. Our eyes get tired and strained in part because of the blue light that is emitted from our devices. Blue light filters can help with this problem. Blue light is both a good thing and a bad thing, It can help to control our circadian rhythm, but it can also cause degenerative eye problems and negatively affect our sleeping patterns. Here are some of the best blue light filters of 2018. Hopefully, they can level up your sleep game by protecting your eyes and improving your sleep quality. Now onto the reviews! 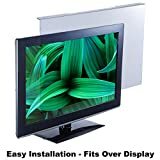 Blue Light Screen Protector Panel For 26"/27"/28" Diagonal LED PC Monitor (W 24.80" X H 15.55") (W630mm x 395mm). Blue Light Blocking up to 100% of Hazardous HEV Blue Light from LED screens. Reduces Digital Eye Strain to benefit eye health. For office or home PC's to promote Healthy Eyes for Working People. For 26"-28" diagonal screen. Do blue light filters work? What does low blue light do? What is the blue light filter on an Android? How do you filter blue light on a laptop? Does blue light filter save battery life? Do orange glasses block blue light? How do you test blue light filters? RetinaGuard is a company that stands for everything that their name would lead you to believe that they stand for. They specialize in manufacturing screen protectors that are fully capable of stopping the blue light that is being emitted by your monitor from ever reaching your eyes. This means that the blue light cannot damage your eyes because it does not have the chance to. Their screen protectors can also be used to protect your monitor from scratches and other forms of damage. The RetinaGuard iPhone 8 Anti-Blue Screen Protector is a product that was manufactured because RetinaGuard fully understand the potential harm that excessive and prolonged exposure to blue light can cause. Evidence of the damage that it can cause can be seen among both adults and children. As the world advances, more and more of us will begin to spend more time in front of our digital screens, meaning that RetinaGuard developed this specific product because it is needed. You might be wondering why people don't just stop looking at their electronic devices. Unfortunately, a lot of people actually have to use their phones, tablets, laptops and monitors for work and they simply do not have the opportunity not to. Studies have also shown that most people ignore the eyestrain that they suffer with after prolonged exposure to blue light, brushing it off as one of those things. This particular kit can be the answer to that problem. You don't have to stop using your electronic devices, you simply need to take precautions. This kit comes with a single anti-blue light screen protective film, a dust remover for keeping the film clean and a micro-fiber cleaning cloth. One of the main problems that tend to occur with blue light blocking screen protectors is that they negatively affect the colors that you can see. They have a tendency to give everything a warm tone that is almost irritating. Luckily, this particular screen protector is highly transparent and does not seem to affect the colors behind it at all. This screen protector is capable of blocking approximately 90% of any blue light that is emitted from your iPhone 8. This means that your eyes will not suffer from fatigue and they will not become strained from looking at your phone for prolonged periods of time. The lack of constant exposure to blue light will also ensure that you get a good sleep. One of the only issues that we could find with this RetinaGuard Screen Protector is that it can be quite difficult to apply it to your phone. You have to be incredibly careful and make sure that you do not touch the sticky backing while you are applying it, otherwise you will end up with permanent and visible fingerprints. It can also be quite difficult to get the screen protector on straight, but everything is perfect once you have. EYES PC is a company that specializes in manufacturing things that are capable of blocking and deflecting blue light; this includes both glasses and screen protectors. The fact that they manufacture both blue light blocking glasses and screen protectors is a good thing because it offers you a choice. Some people find that using a screen protector can be quite irritating because it draws their attention and some people find wearing glasses to be incredibly uncomfortable. By having both as an option, you can find a solution that works for you. 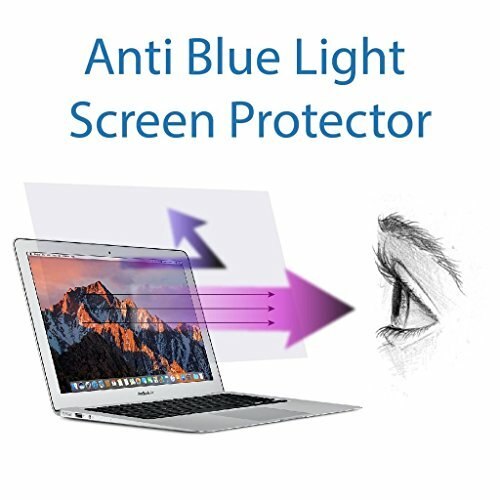 The EYES PC 26"- 28" Blue Light Screen Protector has been designed specifically to block any blue light that is emitted by your monitor from ever reaching your eyes. If the blue light cannot reach your eyes, then your eyes are protected from all of the negative issues that blue light can cause. These issues include fatigue, irritation, eye straining, insomnia and degenerative eye problems. 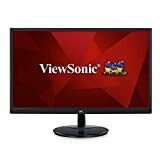 You would think that people would simply avoid using their monitors with all of those potential risks, but most people simply shrug those problems off as normal, even if they realize that the prolonged exposure to blue light is causing the problems. By simply using a product like this one you can get rid of the risks altogether and you can make sure that you can use your monitor whenever you want to. Absolutely the best optical quality Blue Light Blocking Panel available today. Reduces digital eye strain when viewing LED screens: Office PC, Home PC, eSports or eGaming. Design allows for easy installation and removal. 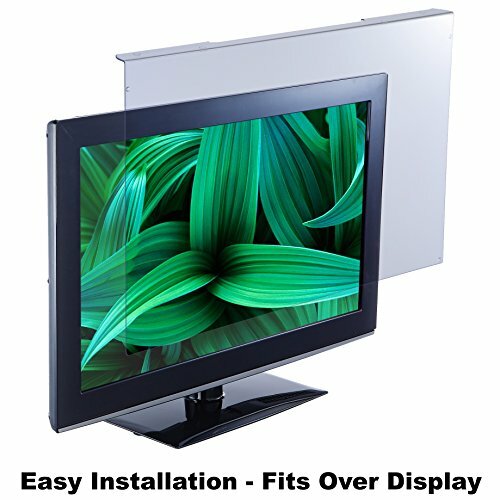 Sizes available to fit most LED flat panel monitors. When we take a quick look at this blue light blocking panel we can see that it is made out of a high-quality acrylic. This acrylic has had special coatings applied to it that all serve different purposes. For example, one layer is scratch resistant, one layer makes the acrylic more durable, one layer reduces flicker and one layer ensures that your eyes are protected from any blue light that could be being emitted. A lot of blue light screen protectors leave your screen looking a little bit odd. All of the pictures on it end up with a warm tone, making them look similar to a mobile phone as soon as night mode is turned on. EYES PC have made sure that this screen protector does not block any of the colors that should be present on your screen, nor does it result in noise. We were only able to find a single problem with this particular screen protector. Unfortunately, it does have a lot of glare. If you were to sit in an area where a light could reflect off it, then you would be able to see your own reflection. 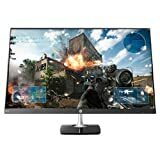 This could be a problem for some people who cannot move their monitor, but a lot of people would just make sure that they are angled away from the light. This pair of glasses was made by a company called Gunnar Optiks. As the name suggests, they specialize in manufacturing glasses that are capable of stopping blue light from reaching your eyes. They can also stop glare and ensure that you can see clearly at all times. Their target audience is generally considered to be people who enjoy playing computer games for long time periods. Straight off of the bat, we can see that the Intercept Blue Light Blocking Computer Gaming Glasses have lenses that are slightly tinted. A lot of blue light blocking glasses are tinted orange, but companies are now also manufacturing clear ones that can be used on a daily basis. We can also see a lot of orange-tinted lenses in both office environments and industrial environments, as well as in a handful of other places where people are frequently exposed to blue light. 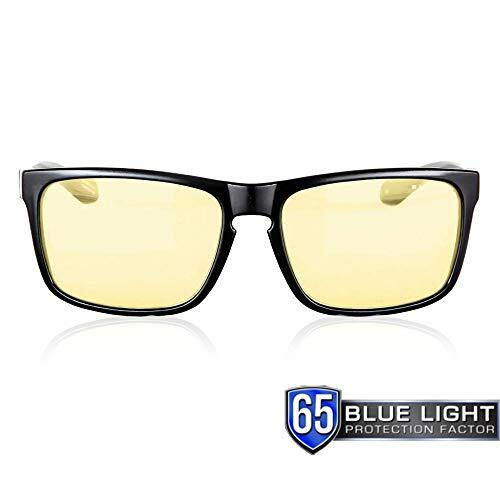 These Blue Light Blocking Computer Glasses can be used by people who wear contact lenses, but they should not be worn by people who should be wearing prescription glasses. Unfortunately, you cannot have your own prescription applied to these glasses, but there are some alternatives that will let you. We would advise that you speak to your optician if you do have to wear prescription glasses about what they can offer you. GUNNAR Gaming and Computer Glasses: GUNNAR glasses protect your eyes and enhance performance. Reduce digital eye strain and block blue light with amber or liquet lens tint options. Patented Lens Technology: GUNNAR is the only patented gaming and computer eyewear recommended by doctors to protect and enhance your vision while viewing digital screens (Patented Lens #9417460). Reduce Digital Eye Strain: GUNNAR glasses address all short and long-term side effects associated with digital eye strain, including: headaches, dry eyes, blurry vision, glare, negative effects of artificial blue light, eye strain and fatigue. Block Blue Light: GUNNAR lens tints filter artificial blue light emitted from digital screens. Just how Sun Protection Factor (SPF) measures protection for the skin, the Blue Light Protection Factor (BLPF) scale measures lens protection for the eye. Sleep Better: GUNNAR glasses block harmful blue light, which helps you maintain your circadian rhythm, the body's natural sleep cycle. When we talk about computer gaming, we are usually talking about people spending long periods of time in one position. Because of this, computer gaming glasses have to be comfortable. These glasses are light weight and they have been designed to fit ergonomically with your face and your head, ensuring that you are comfortable while wearing them. You also have to consider the fact that your eyes will quickly become fatigued while gaming due to blue light exposure. 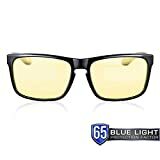 By wearing a pair of glasses like these ones you will be able to make sure that your eyes do not become fatigued and that you will be able to sleep once you have finished gaming. The lack of straining will also enable you to perform better and target objects in your games easier. Unfortunately, glasses like these simply are not practical for outside use. The orange lenses would draw a lot of attention and not everyone wants that sort of attention. You also have to consider the fact that natural sources of blue light, like the sun, enable us to sleep perfectly because they affect our circadian rhythm. Why would anyone want to get rid of all of the blue light if a lack of sleep could be the consequence? Lighting Science is a company who specialize in producing products that will enable you to have a perfect sleep. They manufacture a range of different bulbs, some of which have been designed specifically for nurseries. If you are looking for a bulb that will help you sleep, then we would recommend that you try a few before settling with one. You might find that one works better for you than another. This Lighting Science Sleep Promoting LED Light is something that could help everyone get a good sleep, even people who usually struggle to sleep. 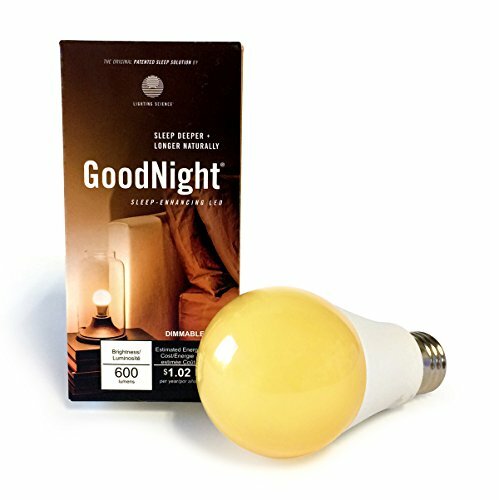 Sleep bulbs like this one work by emitting less blue light than other bulbs do, this enables you to settle down and sleep when you need to. One of the main problems with blue light and sleep is that our circadian rhythm is quite literally controlled by blue light. We are awake when the sun is up, then we sleep when it goes down. The lack of blue light when the sun goes down leads to our brains producing the hormone melatonin, a natural sleep aid. Unfortunately, in the modern world blue light is still being emitted by all of our electronics, preventing our brains from producing as much melatonin as they otherwise would. This bulb works because of science and human biology. By stopping yourself from being exposed to the sort of blue light that is usually emitted by bulbs, you can make sure that your brain starts producing melatonin early enough at night. That melatonin will help you get a peaceful and relaxing sleep. It will also help you to get to sleep quicker than you usually do. Lighting Science have also made sure that you will not be exposed to any unnecessary blue light. This bulb is capable of eliminating up to 95% of the blue light portion of the electromagnetic spectrum. You simply have to make sure that you have this bulb in the room that you would usually spend the last portion of your day awake in. While the Lighting Science Sleep Promoting LED Light is capable of enabling you to get a better sleep, it does not factor in a few other things. For example, if you were to have this bulb in one room and then walk into another brightly lit room, then that would be enough to completely negate any of the positive effects that you could have experienced. You also have to consider the fact that there are other items that emit blue light. For example, your mobile phone, your television and any other digital devices that you might have lying around your house. Only works in a planned environment. Positive effects can be negated by simply using a mobile phone. ASUS is a company that specializes in manufacturing computers and gaming equipment, but today we are going to be talking about one of their monitors that has been designed with blue light reduction in mind. Their devices tend to be reliable and they usually have performance-driven features and high-quality parts. 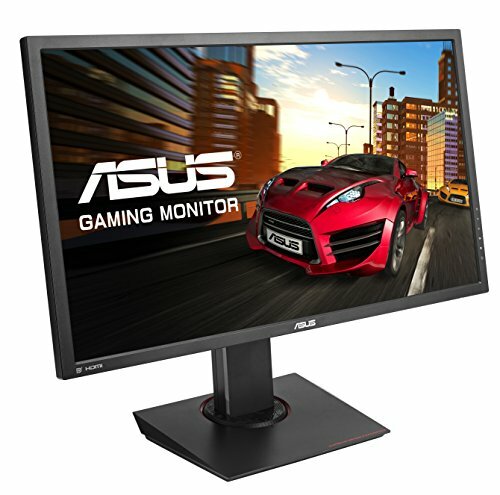 The ASUS 23" Low Blue Light Gaming Monitor looks like a standard gaming computer monitor, but it actually has a lot more than that to it. It has been designed with blue light reduction in mind. The fact that it has means that users don?t have to worry about purchasing additional screen protectors or glasses that can stop the blue light from reaching their eyes. 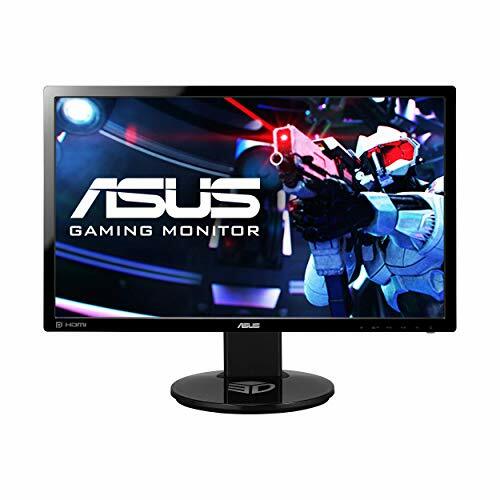 The monitor itself has an 80,000,000:1 ASUS Smart Contrast Ratio that ensures that all of the images and videos that you see will look perfect. It reproduces each color to perfection, regardless of how dark or light that color is. It also doesn?t deal with blue light by making everything look slightly orange or slightly pink. Delivers brilliant visual quality with an extremely fast 1ms response time for smooth motion playback in videos, movies, and games. 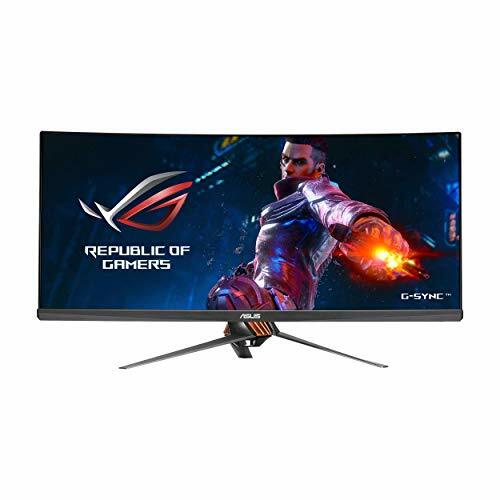 When manufacturing this product, ASUS have evidently made sure that their ASUS eye care technology was at large on the playing field. 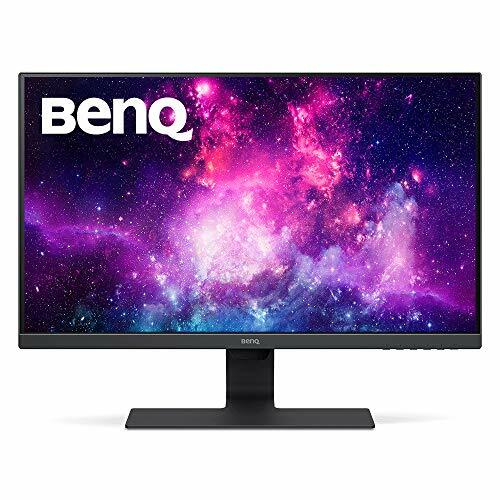 Everything about the way that the screen works ensures that it is flicker-free so that your eyes do not get as fatigued as they otherwise would, and they have made sure that the monitor does not emit as much blue light as alternative models do. 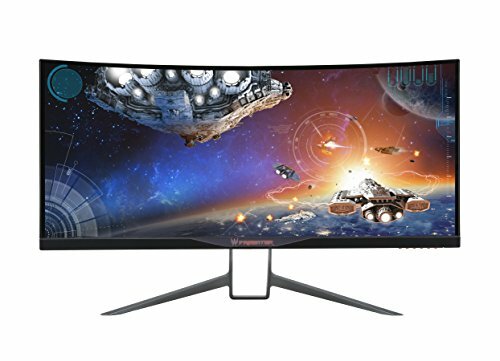 This monitor is also lightweight with an ultra slim aesthetic, meaning that it would only take up a small amount of desk space. It has dual HDMI ports so that multiple devices can be connected to it once and it has Splendid Video Intelligence Technology that optimizes the image settings of anything that is displayed on the screen. When it comes to products that can be used to protect your eyes from blue light, you have to know the ins and outs of what you are purchasing. You have to know how the product works, why it works and whether or not it will work well. Our buyer's guide will discuss everything that you need to know. There are different blue light filters that you can purchase. There are physical screen protectors that can be attached to monitors or stuck onto the screens of phones, glasses that are able to block out blue light and devices that have been developed to simply emit less blue light in the first place. Most of these products work by using warm tints. For example, most blue light filtering glasses have orange or yellow lenses. Orange lenses are better at filtering out blue light, but yellow lenses provide the user with slightly less color distortion. The amount of blue light that can be successfully blocked out depends entirely on the individual product. Some blue light blocking products can block up to 65% of blue light, whereas others can block a staggering 98% of blue light from ever reaching your eyes. Make sure that you look closely at any information that the manufacturer has given you. Some blue light filters can only be used with certain models of certain devices. For example, you would not be able to use an iPhone 8 screen protector on a Motorola phone, or vice versa. You have to make sure that the screen protector that you are purchasing is compatible for use with your digital device and that you won?t end up with a screen protector that is so large that it hangs off each side. RGB means red, green and blue and it is a system that represents all of the colors that can be used on a computer display. When we take a look at blue light filters, we have to understand that they are literally trying to remove one of the electromagnetic waves that make up our visible color spectrum, meaning that the amount of blue is dramatically reduced. The color of each individual blue light screen filter can vary dramatically. Some of them are clear, some are yellow, some are orange, and some are red. A lot of clear products are made for their practicality opposed to their functionality. For example, you would be more likely to wear a clear pair of glasses than you would be to wear a red pair. Each color works slightly differently from the next. A yellow filter would enable you to see a lot of the natural colors underneath the filter, but it would not remove a lot of blue light. Whereas, an orange filter would stop you from seeing a lot of the natural colors underneath, but it would stop a huge amount of blue light from reaching your eyes. Yes. Blue light filters work in protecting your eyes from any blue light that is being emitted by a digital source. Some blue light filters leave your screen looking as though it has an orange tint while also blocking the blue light from traveling through it. Some clear blue light filters are available, but they are not as effective. Low blue light is something that everyone should think about. By removing a large chunk of the blue light that we are exposed to on a daily basis, we can make sure that our eyes remain healthy. Prolonged exposure to blue light can cause a lot of different problems, including eye strain, fatigue, a lack of motivation, degenerative eye conditions and even an inability to sleep. The blue light filter on an Android device is usually referred to as ?night mode.? Night mode is important because it reduces the amount of blue light that is emitted by your Android smartphone. It is also important to understand why it is called night mode. Blue light quite literally keeps us awake and stops us from producing a lot of melatonin, our sleep hormone; this disrupts our sleep and can make it incredibly difficult to get to sleep. The best way to filter blue light on a laptop would be to use a unique screen protector. Screen protectors that have been designed for blocking blue light usually clip onto the top of the screen and they are usually made out of acrylic. This acrylic usually has special coatings on it, one of which ensures that it can stop any blue light that is being emitted by the laptop from reaching your eyes. Using a blue light filter on an Android smartphone or an Apple smartphone should not noticeably affect your battery life at all. It will reduce the brightness of the blue LEDs within your phone, but that shouldn?t affect your power enough to be noticeable. It is also worth considering the fact that your phone battery will reduce as you are using your phone, something that is highly likely if you are remembering to turn on night mode. Glasses that have orange-tinted lenses are fully capable of blocking blue light from reaching your eyes and they perform much better than both yellow-tinted lenses and clear lenses do. Blue light is emitted from a range of different devices, including monitors, tablets and phones so wearing a pair of glasses can be a rather simple solution when you compare it to having to put screen protectors on every one of your devices. Blue light filters are incredibly important because of the protective benefits that they can offer us. But, how do you know if your blue light filter actually works? There are a few retailers out there who would happily sell you a product that doesn't. There are bars of electromagnetic spectra that you can use online to make sure that your blue light filter is working perfectly, and we would advise that you check any blue light filtering product. When you work in an industry where you have to spend a lot of time in front of a computer, your eyes begin to suffer. The same could be said if you spend a lot of time gaming on a computer. The constant exposure to an unnatural form of blue light causes everything from eyestrain to degenerative eye problems. Because of this, we have to take the right steps to make sure that we are exposed to less blue light than we otherwise would be. Today we are going to be reviewing some of the best blue light filters for PC of 2018. Hopefully, our reviews will enable you to find a product that would suit your own situation and keep your eyes protected for good. Blue Light Screen Protector Panel for Apple iMac 21.5" Diagonal LED Monitor (W 20.63" X H 12.56”). Blue Light Blocking up to 100% of Hazardous HEV Blue Light. Reduces PC Eye Strain. EYES PC is a company that specializes in producing both screen protectors and glasses. All the products they manufacture are capable of blocking out blue light. The fact that they offer both glasses and screen protectors is a good thing to think about because a lot of people prefer one over the other, but you might have to try both to work out your own preference. The EYES PC Blue Light Blocking Panel is a product that fits on any monitor that is 23 or 24 inches. Unfortunately, it will not work effectively if the monitor that you have is much larger than that and it would simply fall off of a smaller monitor. 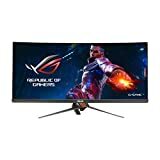 You could use this particular model on any type of LED screen, regardless of whether you use the screen for work, gaming or simply browsing the internet. 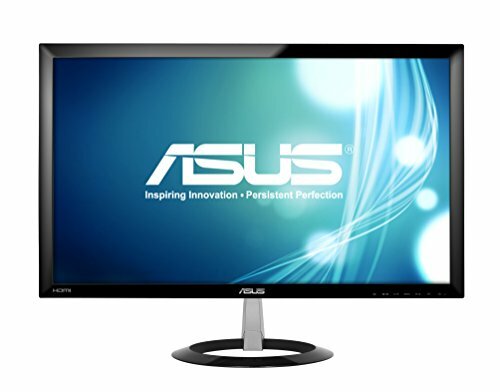 The panel itself is capable of reducing up to 100% of the blue light that is being emitted from the monitor that it is on. It is also capable of blocking up to 100% of the dangerous UV light that it is exposed to. This means that your eyes will be protected from both blue light and UV light. This protection is important because it can stop you from suffering from a range of different symptoms, including eyestrain and eye fatigue. It is also worth noting that the panel is made out of acrylic, but this acrylic has had several special coatings applied to it. These include a hard coating for durability, a scratch resistance coating to ensure that your panel does not easily get damaged, an anti-flicker coating to ensure that your viewing experience is not affected and a blue light reduction coating. That blue light reduction coating is the thing that will really help your eyes in the long run. Vizomax is a company that specializes in producing high-quality screen protectors. A lot of their screen protectors have been designed to limit the amount of blue light that you are exposed to while looking at monitors. Their screen protectors also come in an array of different sizes, ranging from 23" computer monitors to 75" TV screen protectors. 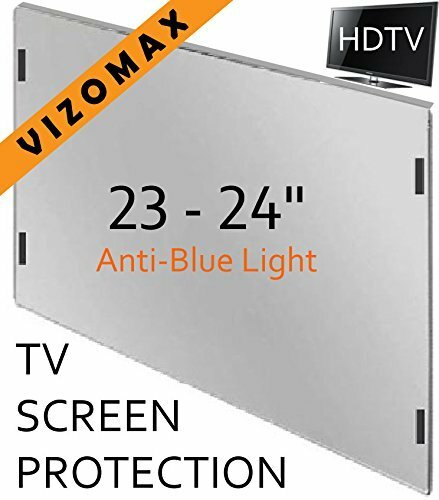 One of the first things that we noticed about the Vizomax 24" Blue Light Screen Protector is that it is incredibly easy to apply. You simply have to take it out of the box and stick it onto your TV or computer. There are a set of small sticky dots that should run along the top of your monitor, with the panel itself dangling over the front of the monitor. The panel itself is incredibly transparent and it is made out of a type of optical-grade acrylic that will not change color over time. Unfortunately, a lot of other blue light deflecting panels turn yellow as time passes because of the type of acrylic they are made of. The transparency itself is also a good thing because it means that your own viewing experience will not be affected by using this panel. This model is capable of blocking up to 100% of the hazardous UV light that it is exposed to. It can also reduce almost 100% of the blue light that it is exposed to. This would be especially useful for someone who enjoys watching television before bed. The problem with doing that is that the blue light disrupts your circadian rhythm and your sleeping pattern. By filtering out that blue light you can make sure that you get a good sleep. Blocks 100 percent of Hazardous UV light and reduces HEV Bluelight up to 99.6 percent with excellent color Transmittance. As you already know, EYES PC are a company which specialize in producing both glasses and screen protectors. The fact that they manufacture both enables you to choose which you prefer. We would advise that you start out by using a screen protector if you are not used to wearing glasses. This is because glasses can be quite uncomfortable at first and they could disrupt your productivity levels. This EYES PC 15.6" Blue Light Screen Protector has been designed specifically with laptops and other small monitor screens in mind. You would not be able to use this particular screen protector on anything that is bigger than 15.6", regardless of the purpose that your monitor serves. The EYES PC Blue Light Blocking Panel is another product that works in the same way as this one. 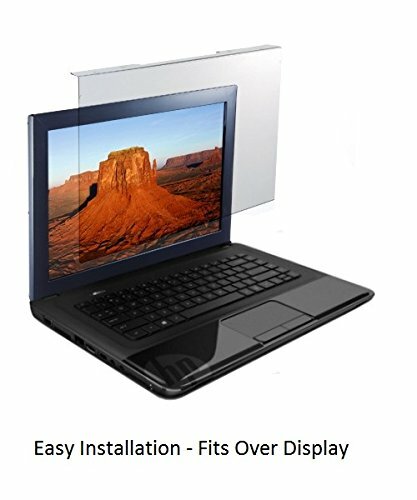 The installation is exactly the same, you simply have to place the screen protector over the top of the monitor so that it stays securely in place. This product also features the same special coatings that we can see on the Blue Light Blocking Panel model. Each coating serves a different purpose, with the blue light deflecting coating and the scratch resistance coating being among the most important of them all. The EYES PC 15.6" Blue Light Screen Protector can be used to block up to 100% of the harmful blue light that is constantly being emitted from your screen. It can also be used to block dangerous UV light. One of the only problems with this particular model is that it does affect your viewing experience by making the screen slightly orange, or more warm toned. Apple products are big business. Be it in the form of iPhones and iPads, MacBook laptops, or their iMacs. Naturally, this has led to a lot of different companies developing products that are compatible for use with Apple products. Even EYES PC have developed screen protectors for several different models of Apple devices. 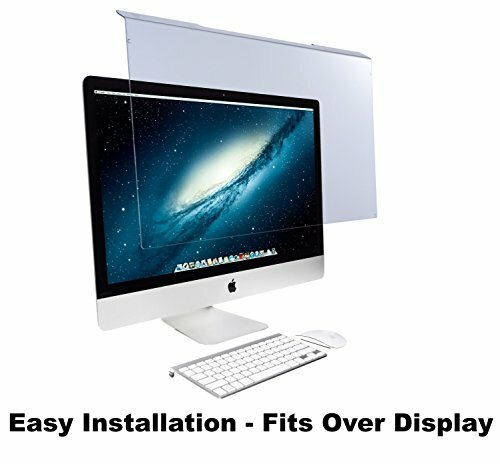 The EYES PC Apple iMac Blue Light Screen Protector has been designed specifically for use with the Apple iMac 21.5". There are other screen protectors that are suitable for different sized monitors, but today we are going to be focusing on this one. Before we begin, it is worth noting that this screen protector will slightly affect your viewing experience. Most people will find that this does not bother them at all, but it could bother you if you are used to the crispness of a bright, white screen. It affects viewing experience by giving the screen a slightly warm tint, similar to the night time mode that exists on most phones, but not as intense as that. This screen protector is also capable of blocking a lot of blue light before it gets the chance to reach your eyes. This can promote healthy eyes and reduce eye fatigue. It also ensures that you will be able to sleep well because unnatural sources of blue light can easily affect your circadian rhythm and make your body think that it is still daytime. Reduces digital eye fatigue when viewing LED screens: Office PC, Home PC, eSports or eGaming. 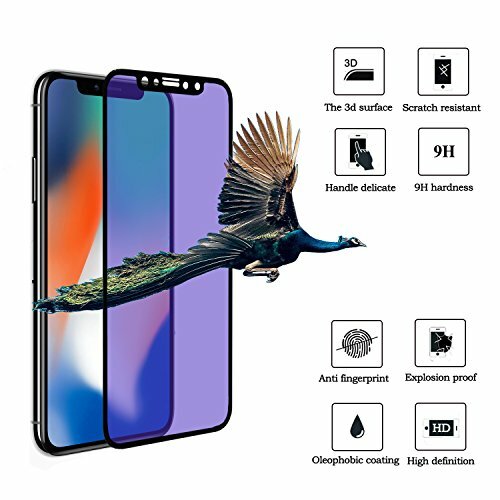 EZ-Pro is a company that is actually called EZ-Pro Screen Protector, meaning that you should already be able to guess what they specialize in. 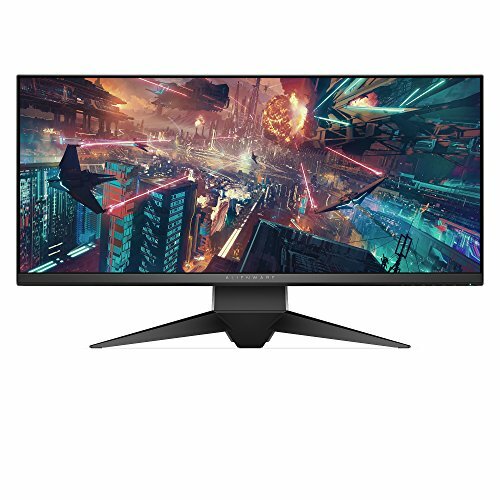 They produce a range of anti-blue light screen protectors for different sized monitors and they also produce things like privacy screen filters, so that no one else can see what you are doing or what you are watching. 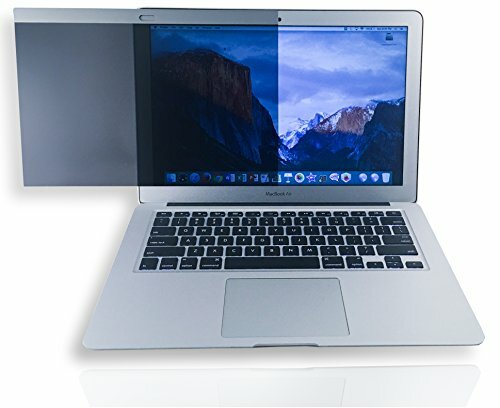 The EZ-Pro MacBook Air Blue Light Screen Protector is a fantastic option for a laptop-type product. The problem with a lot of blue light screen protectors is that they are made of acrylic and they hook onto the monitor screen. This means that you have to carry both the laptop or MacBook and the screen protector around separately. Luckily, this particular screen protector is actually the type of screen protector that you would usually see on a mobile phone. It can be swiftly applied and if you want to remove it, then you just have to peel it off. It is worth noting that applying it to your screen can be a little bit difficult. You have to go slowly to make sure that you do not end up with any bubbles underneath the screen protector. As for the blue light issue, this product is capable of blocking a huge amount of blue light so that it does not enter your eyes. This can stop your eyes from straining and it can make sure that you do not become fatigued from looking at your screen for too long. In our opinion, the clear winner of this race is the EYES PC Blue Light Blocking Panel. It is durable, scratch resistant, anti-flicker and it is more than capable of blocking blue light with ease. It also does not affect your viewing experience as all of the original colors are left intact, without any new "warm" tones. Remember that your eyes are incredibly important. and fatigue can quite literally kill your productivity levels, what reason could you possibly have not to protect your eyes? Blue light is something that has a huge impact on our lives. It impacts our circadian rhythm, our sleep patterns, our mood and even our energy levels. We are only supposed to be exposed to the blue light that is emitted from the sun, but almost all of our modern devices, like gaming computer monitors and TVs, also emit blue light. One of the primary sources of blue light that can negatively affect us comes from our mobile phones. We are all prone to using our phones regularly. To try and conquer that issue, we are going to be talking about the best blue light filters for Android phones. The Viotek Blue Light Filter for Samsung Note 4 is a product that has been brought to us by a company who quite literally has their own catalogue of products. Viotek manufactures everything from computer monitors to seat cushions. They are also known to produce high-quality audio and virtual reality equipment, as well as a range of smart home systems. Our eyes are incredibly important. Can you imagine what it would be like to try and work with blurred vision? Unfortunately, the blue light that is emitted from our phones and other electronic devices can cause blurred vision. This can lead to a lack of concentration, lower morale and a physical inability to do your own job. Luckily, devices like the Viotek Blue Light Filter for Samsung Note 4 have been designed in an attempt to tackle our prolonged exposure to blue light. Most people use their mobile phone for hours every day and by ensuring that there is a filter on your mobile phone you can make sure that using your phone does not adversely affect your health. This particular filter is quite unique because it features a 2.5D rounded curve, this curve makes it easier for more blue light to be deflected. It also makes sure that the screen protector fits perfectly on the Note 4. The screen protector itself consists of approximately seven layers; these layers filter blue light, protect your phone and stop fingerprints from appearing. Unfortunately, we can see a few problems with this product. The screen protector itself negatively impacts visibility. This is fine for people who do not like to have the brightness of their phones turned right up, but it would be a problem for people who enjoy seeing bright screens. The tempered glass is also known to scratch relatively easily.